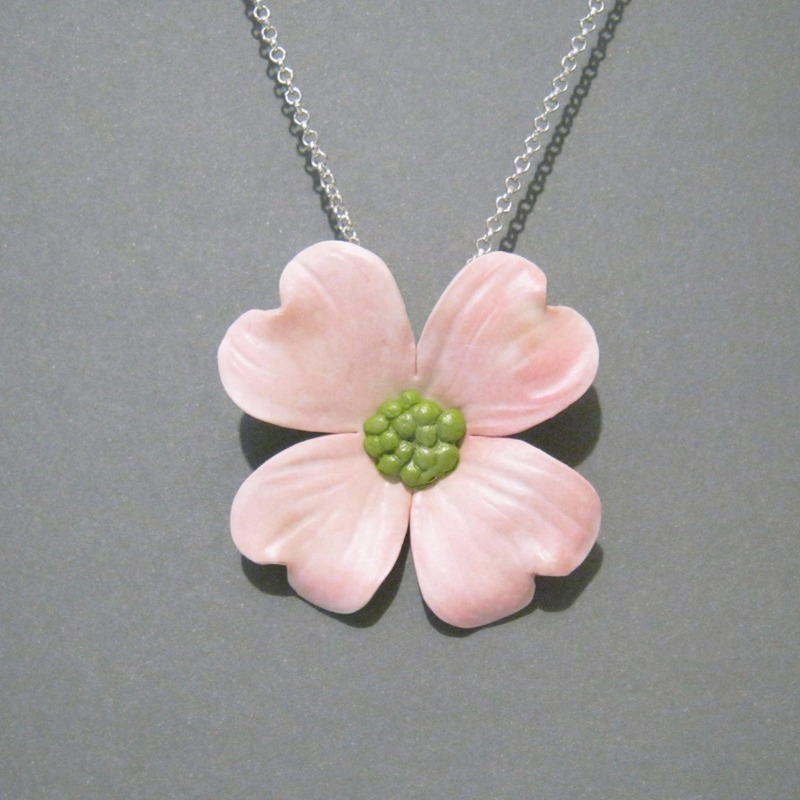 Dogwood flowers have always been a favorite of mine, and now you can wear one around your neck! A little bit of spring in a large (this beauty measures 2.5 inches (5 cm) across) but lightweight pendant. Shown with the included silver plated rolo chain - just select your length. The embedded wire bail is non-tarnish silver plated copper Parawire. While they may be delicate in appearance, my dogwood flower pendants are sturdy enough for everyday wear (within reason). Sculpted from polymer clay in my own custom blended color, each flower is individually cut out, stamped, shaped, and accented with a touch of chalk pastel. The front is sealed with a light coat of Preserve Your Memories II, giving them a subtle shine and ensuring the added color does not wear off. As each flower is individually made, the pendant you receive will vary slightly from the photographs. Having a wedding or event? I can create as many as you need. Please contact me for details, including lead time (typically one week). Ordered with the white as well. Beautiful work. Highly recommend this seller. The design is very realistic.